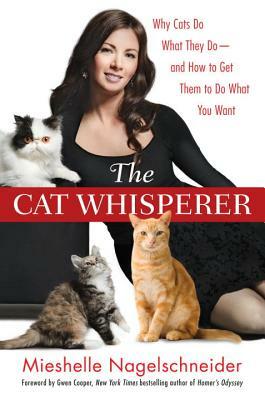 Mieshelle Nagelschneider is one of the nation’s most renowned and sought-after cat behaviorists. In addition to working with thousands of cat owners in person, by phone, and online, she has consulted with vets to help them deal with the problem behaviors that their clients complain about and that they themselves have with their own cats. The Cat Behavior Clinic, which she founded, opened in 1999 and serves clients all over the world. She has been featured in Animal Planet’s Must Love Cats, Martha Stewart Living Radio, USA Today, Cat Fancy, Real Simple, and Feline Wellness, and on Salon.com, Pawnation.com, and NBC’s Petside.com, and serves on the advisory council for Pet360.com. She lives in Portland, Oregon, with her family and nine animals: six cats, two dogs, and one monitor lizard.